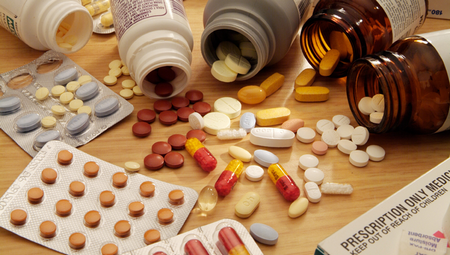 Most accidents connected with drugs occur in the home because of carelessness. In hospitals and institutions stringent rules exist for the care and custody of drugs. Drugs fall into several categories: general sale medicines that can be bought in any shop or supermarket; pharmacy medicines which can only be sold under the super­vision of a pharmacist; and drugs obtain­able on prescription only. Among the substances obtainable on prescription from a doctor only are the controlled drugs. These are substances which make the taker dependent on them, and they include strong pain-killers such as opium, morphine and heroin; sleeping tablets such as temazepam (Normison); and stimulants such as amphetamines. All are taken “for kicks” by drug addicts. Stringent legislation controls the ordering, storage and use of these drugs in hospital. If you are undertaking hospital duties, you must make yourself familiar with hospital rulings. In the home, if a patient of yours is taking controlled drugs, your responsibility is to ensure that the drugs are stored in a safe place and disposed of properly when the time comes. If they are tablets, check and record how many are left each time a dose is given to the patient. If you abide by the following rules, drugs will be safe in your care. Keep drugs for internal use in a safe place, separate from substances intended for external application. Never transfer medicines from their original bottles to other containers. Never mix different sorts of pills and tablets in the same container. Keep medicines in a cool place: the doctor will tell you if any drug needs to be stored in a refrigerator. Do not use any medicine if you cannot read its label clearly. Drugs deteriorate and it is necessary to be able to recognize substances unfit for use. Do not give drugs or drops that have passed their expiry date. Do not give any substance, liquid or solid, that has changed colour. Do not give an originally clear liquid that has become cloudy or has developed a sediment that was not there before. Do not give if you cannot read the label. Do not give a drug if anything raises a doubt in your mind about giving it. When a drug is no longer required it should be flushed down the lavatory. If a patient has died, dispose of any drugs he was taking without delay.